The PI226 and PI336 are the world's smallest mini PCs, but that does not mean their performance is lacking. These are powered by Intel's 6.5 W TDP Celeron 4000 / 4100 SoCs that integrate the UHD 600 iGPUs and come with 4 GB of LPDDR4 plus 32 GB eMMC of internal storage. 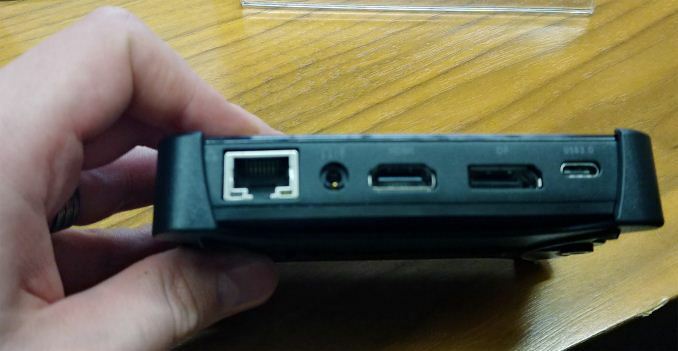 How small can a mini PC get? ECS proved that it can literally fit the palm of your hand with the Liva Q models, but it turns out there is room for more shrinking. 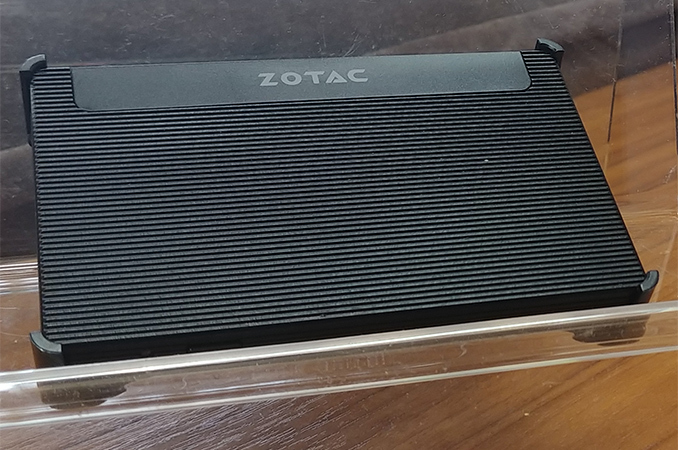 At CES 2018, Zotac showcased its latest pico PCs that are the size of a credit card, with a thickness that almost matches that of superslim laptops, but still manage to provide decent general-purpose and media processing capabilities. There were two new variants on display. The slimmest one is called Zbox Pico PI226 and is powered by Intel’s dual-core Celeron N4000 SoC that integrates the UHD 600 GPU. The metallic case measures only 3.76 x 2.48 x 0.31 inches and has passive cooling, as the CPU TDP is only 6.5W. The tiny system also comes equipped with 4 GB of LPDDR4 RAM, 32 GB eMMC internal storage complemented by a microSD card readers. The connectivity side features WiFi + Bluetooth 4.2 modules, plus two USB 3.0 Type-C ports and a microUSB power header. 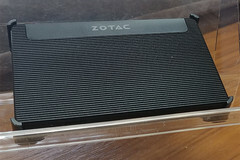 Zotac mentioned that the package will also include a USB Type-C dongle with an HMDI and two USB Type-A ports. The second variant is named PI336 and comes in a slightly thicker case as it integrates more powerful specs. It features the quad-core Celeron N4100 + UGD 600 iGPU SoC, while the RAM and storage options are the identical to those from the PI226. The increased thickness allows for the addition of more connections, however, so the PI336 comes with WiFi + BT 4.2, one USB 3.0 Type-C plus two Type-A ports, a GbE connector, an HDMI 2.0 output, a DisplayPort 1.2 and an audio jack. Availability for the new Pico PCs is slated for Q2 2018 and expected pricing for both variants is somewhere between USD$200-300.